Best Places to Live – City Rankings – What’s So Scary About Earthquakes? Home / Rankings / What’s So Scary About Earthquakes? A new poll by Sperling's BestPlaces reveals that of all the types of natural disasters, Americans are most afraid of earthquakes. But earthquakes have only caused about 71 deaths in the U.S. since 1990 - while other natural disasters have combined for 7,117. Most of these earthquake fatalities (57) were a result of the 6.7-magnitude 1994 Northridge quake in California, which caused an estimated $41.8 billion in damage and is still fresh in many Americans' minds. Earthquakes worry us for a number of reasons, thanks to their violent nature and the psychological terror of the earth moving beneath our feet. They strike quickly and without warning. Storms, on the other hand, are tracked by meteorologists and can be prepared for or avoided by evacuation. There is also a fear that the continental United States is "due for a big one." Recent articles published by the New York Times and the New Yorker say it is only a matter of time before a repeat of the January 1700 Pacific Northwest mega-quake "destroys a sizable portion of the coastal Northwest." Listen to Sperling's BestPlaces' Bertrand Sperling interviewed about earthquake fears here. On a global scale, earthquakes are the deadliest natural disasters of the last ten years, causing nearly 60% of the ~780,000 natural disaster deaths. But the United States' relatively low population density and better infrastructure lessens the impact of most of the quakes we do experience. Americans' inherent fear of earthquakes is likely amplified by seeing news coverage of this massive destruction on other continents, as well as a number of earthquake-related disaster films released by Hollywood. Our country's deadliest type of natural disaster by far? Tropical cyclones, a.k.a. hurricanes, which have been responsible for over 3,363 deaths since 1990. The financial cost of these events has been $814 billion, also tops on the list. 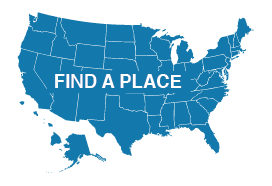 Sperling's BestPlaces (www.bestplaces.net) is the nation's premier source for demographic and place data. Founded by author and researcher Bert Sperling over thirty years ago, BestPlaces now helps over two million users a month make informed decisions about their own best places to live, work, and retire. Bert's bestselling books "Cities Ranked and Rated" and "Best Places to Raise Your Family" are published by John Wiley & Sons and he was tagged as the "The Guy Who Picks the Best Places" by the New York Times. Sperling's BestPlaces is responsible for more "Best Places" studies and research than any other single organization.